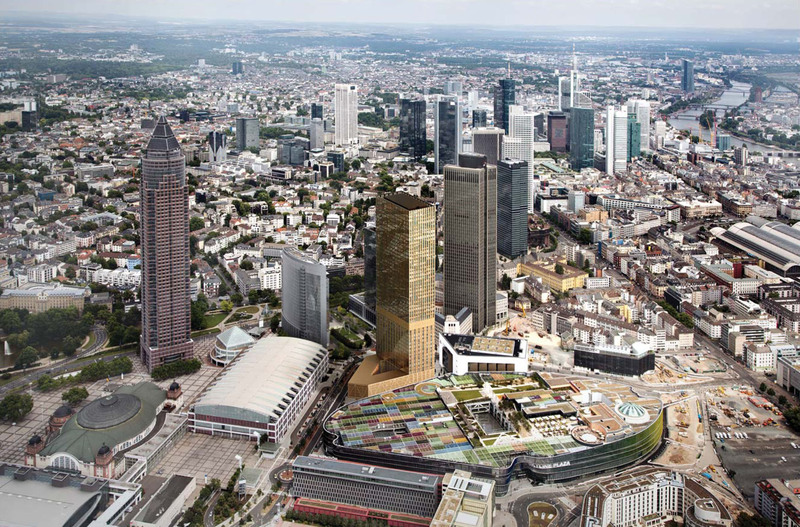 A collaboration with “R plus Architekten GmbH”, Hamburg. 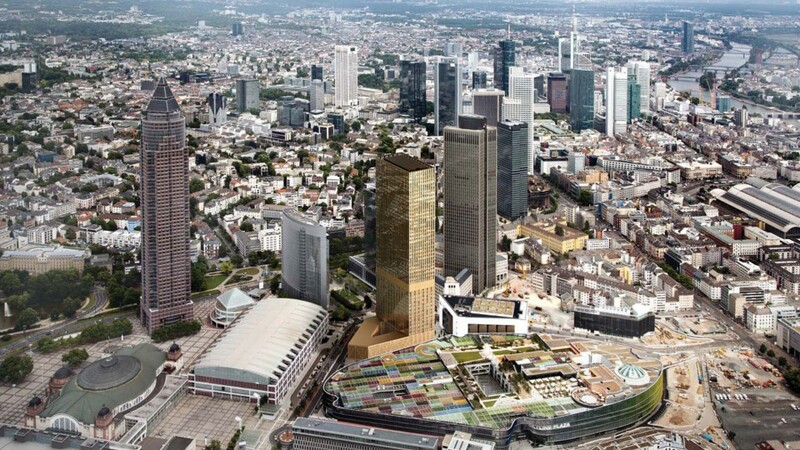 In Frankfurt’s Europaviertel, a high-rise building with a hotel and offices is planned for the site between Skyline Plaza, Platz der Einheit and Brüsselerstraße. 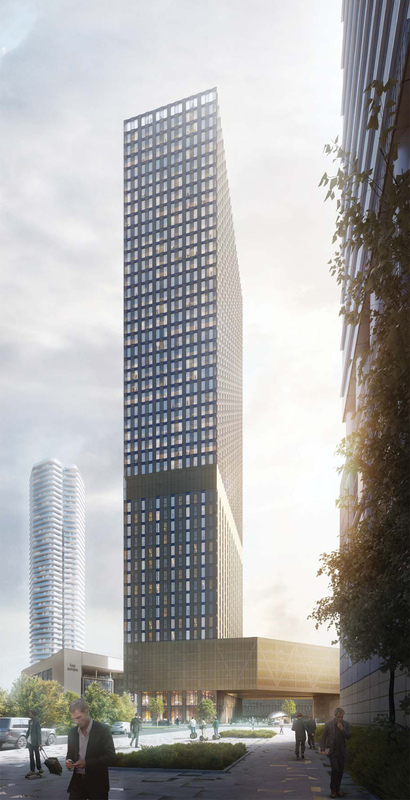 The design of the almost 200 metre high structure is clearly aligned with the existing ensemble and forms a distinctive and independent space. Simultaneously, a sense of connection with the existing structures is strengthened by the integration of a public square. A high level of efficiency is achieved through the arrangement of the different functional areas: management, hotel, conference, catering and parking. The absence of an underground car park here also has significance. In order to ensure clear views from the building, parking underground or in a neighbouring building was deliberately decided against. 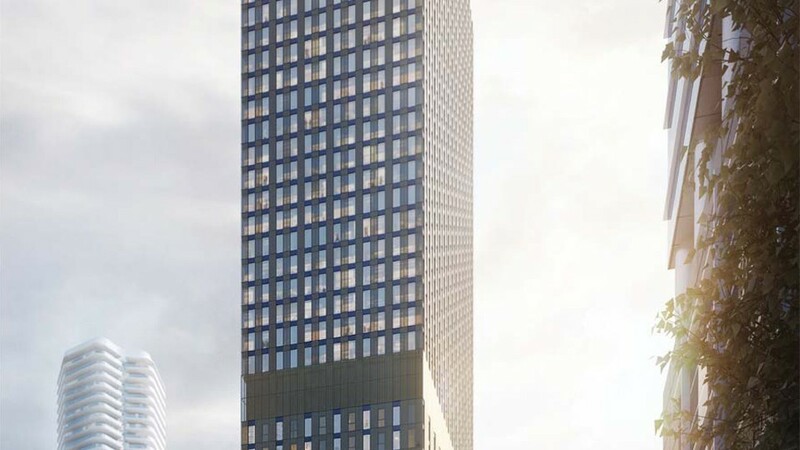 Instead, parking space is achieved through a cantilever between the second and eighth floor, which appears to float over the square without restricting the view from the building. At the same time, a striking and inviting entrance for the hotel guests is created.